The announcement led to mass confusion which prompted Netflix boss, Reed Hastings to make an another announcement. The outcome of which led to more confusion, but did name the offshoot business Qwikster. Confused....? Qwikster is now the DVD portion of Netflix. Or so it was supposed to be. Hastings today announced that Qwikster will NOT happen (yet). The division of the company has already happened and the two parts will not be reunited, but for the moment, customers will be able to use a single log-in and dashboard to maintain both sides of their account. It is obvious that Reed Hastings is trying to maximise profits by dumping the DVD portion of the business even though the consumer may not be ready to stream exclusively yet. Many Netflix users are happy to continue receiving the little red envelope in their mailbox periodically, and some do not have the hardware or the internet connection to stream effectively. 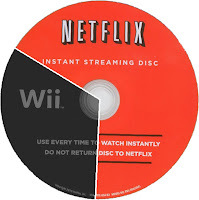 So how much money could Netflix save by dropping DVD's? 2010 figures estimate that a streamed movie costs 3 cents (or 5 cents for HD) versus 40 cents for shipping of a DVD movie. That is before you consider the cost of envelopes, packing and sorting labor, and the purchase of physical discs and distribution licences. No wonder Hastings is so keen to phase out the DVD side of the business, but at what cost? Basic business sense states that you should not alienate your customers, and yet Netflix are flirting with disaster having already lost 33% off the value of their shares (NFLX). What a screwed up situation - I'm just glad that Reed listened to the massive backlash of his customers, and killed off Qwikster before we ever had to deal with it.